Seaborne leaves Coventry by mutual consent. 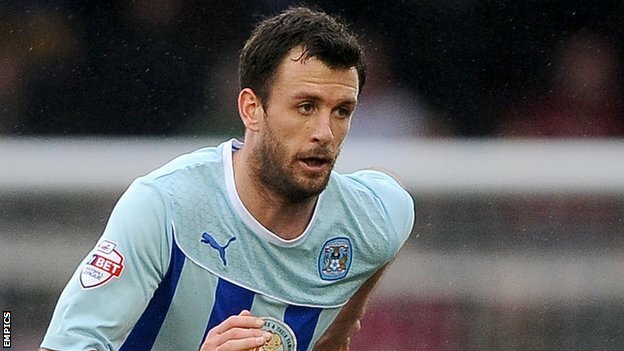 Coventry City defender Dan Seaborne has today left the club by mutual consent just one day before they kick off their 2014/2015 League One season. Seaborne joined The Sky Blues permanently in January after a loan spell from Yeovil Town. The centre back scored one goal in 24 appearances. The 27-year old has previously played for Exeter City, Southampton, Charlton Athletic, Bournemouth and Yeovil Town. « Charles-Cook signs in, and out.